In a world where subscription boxes are a thing, why not add one more for the geeks? 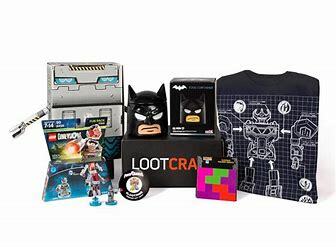 Loot Crate is a monthly subscription box, or crate, for geeks of all sorts. Gamers, pop culture fanatics, television and movie buffs, and more! These crates are kept a mystery until you receive them and are filled with things such as collectibles and t-shirts. Most of the items that are sent out are exclusive to Loot Crate. Prices currently range from $11.99 to $46.99, plus shipping. But if you get any of their $11.99 crates shipping is included in the price. If you just want to check out their services with no commitment, you can go to their gift page and gift yourself a crate. You can choose from 15 different crates, all with different themes. The gift of a crate is a one time payment so you won’t be roped into a monthly subscription unless you want to be. Right now they have a promotion going on that will take $3 off of your bill. Check it out below!